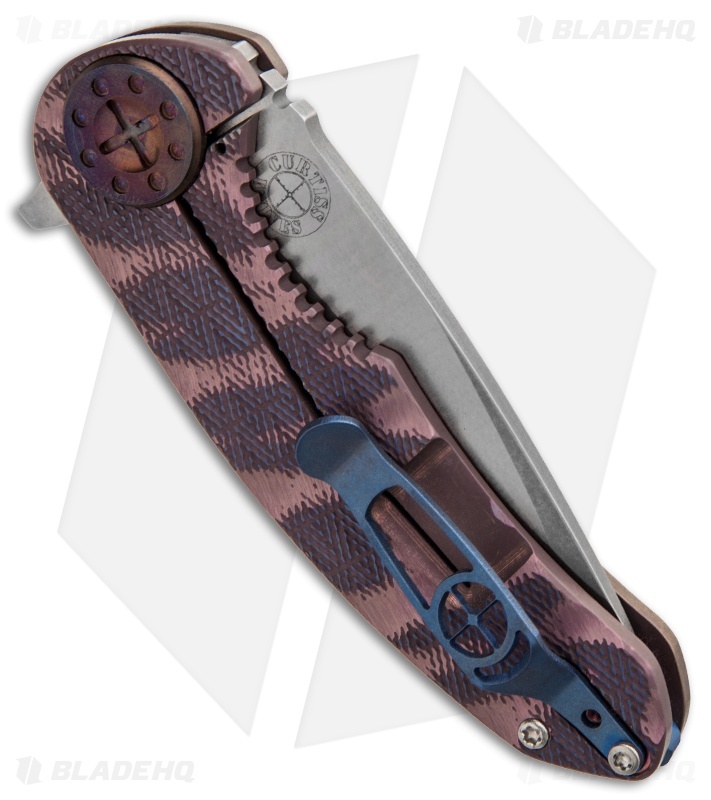 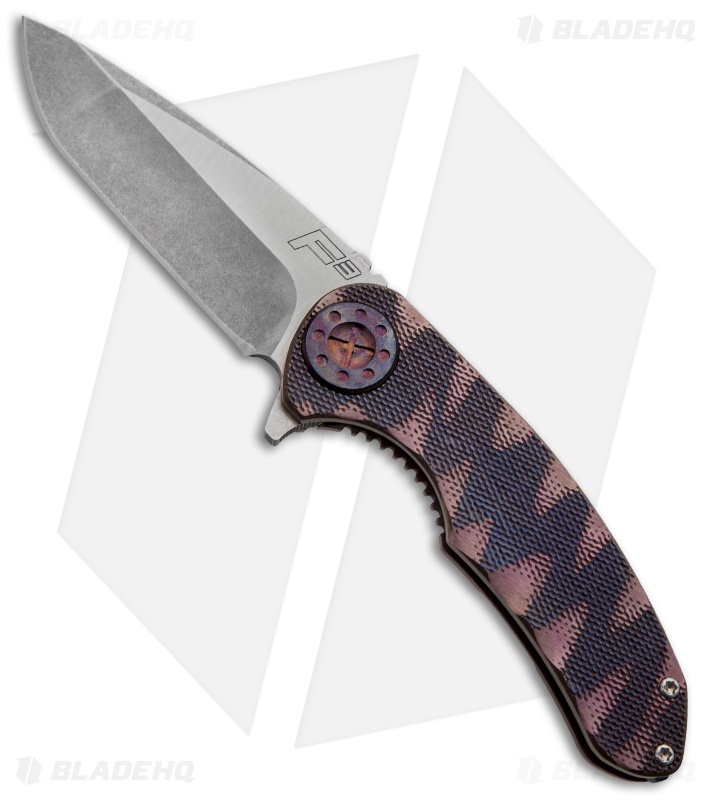 This Curtiss F3 Folder features a purple/blue anodized titanium handle with filed faces. The titanium pocket clip and notched back spacer are blue anodized. Stonewashed CPM-154 steel blade with flipper.